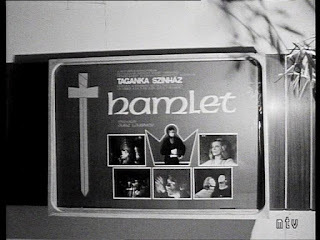 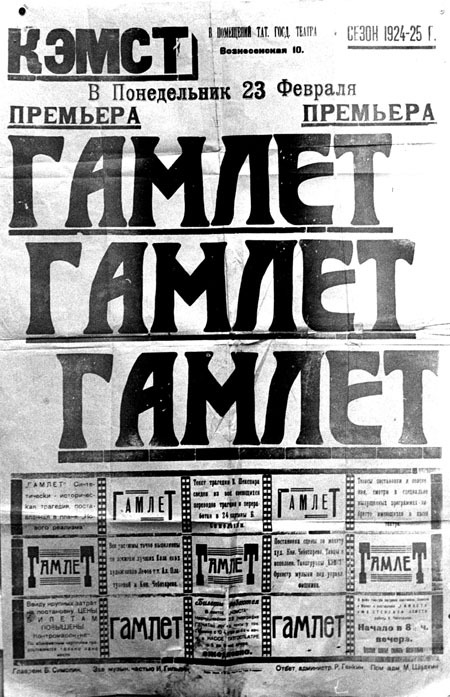 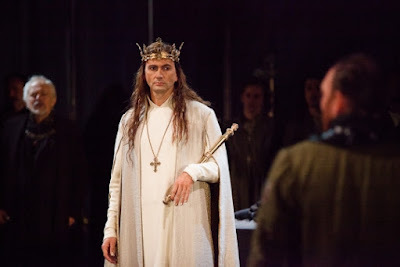 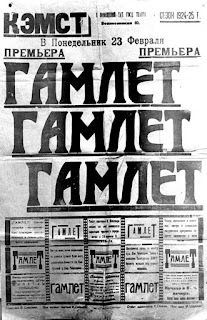 #Hamlet Интересные древности. 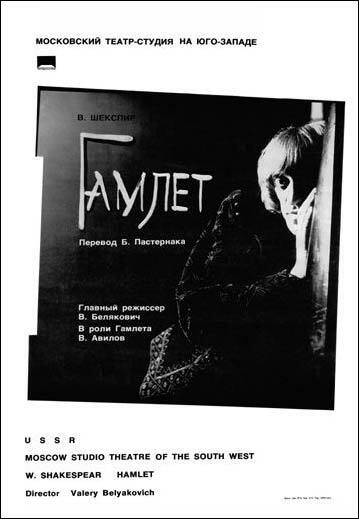 Старинные афиши спектаклей "Гамлет". 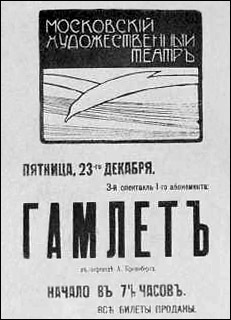 Добавили к источнику несколько своих, ну, то есть наших. Ну, вы поняли. William Macready. 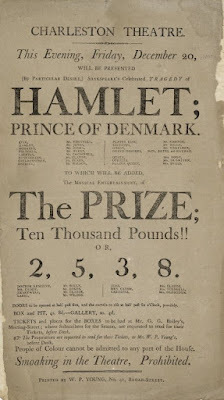 Theatre Royal, Covent-Garden, London, England. June 8, 1821. 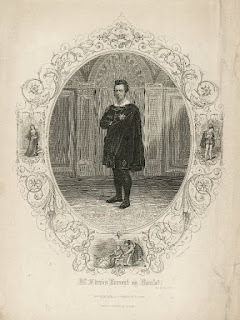 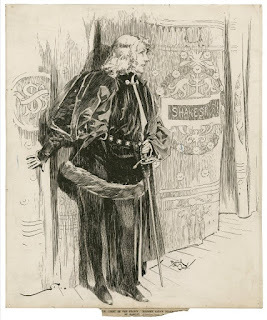 Mr. Edwin Forrest as Hamlet drawn by H. Ulke ; engraved by J.C. Buttre. 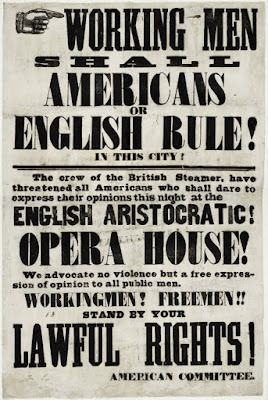 This broadside on May 9, 1849, incited the Astor Place Riot, which had its origins in a rivalry between American actor Edwin Forrest and British actor William Charles Macready and their supporters. 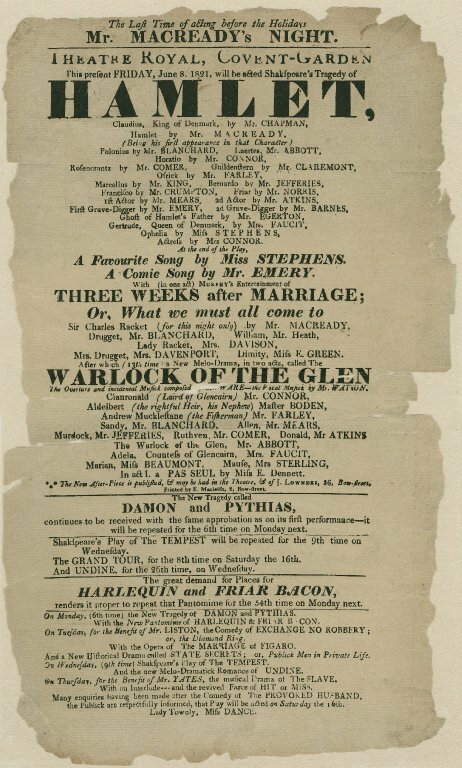 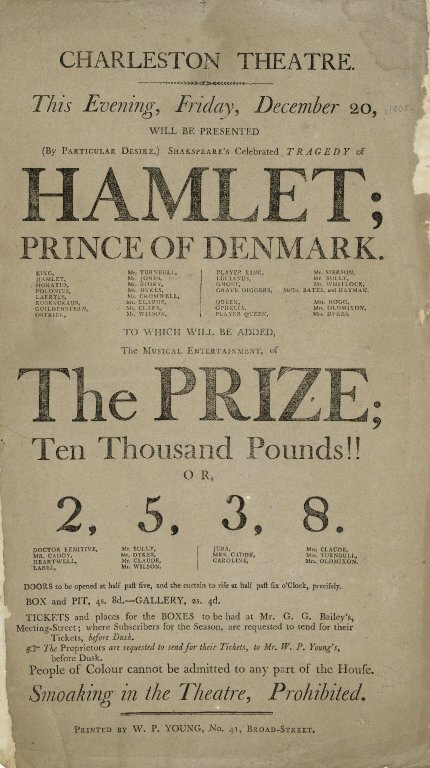 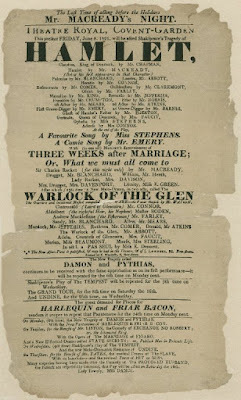 The actors were each starring in competing productions of Macbeth, Forrest in the working class Bowery Theatre, and Macready in the upper class Astor Place Opera House.